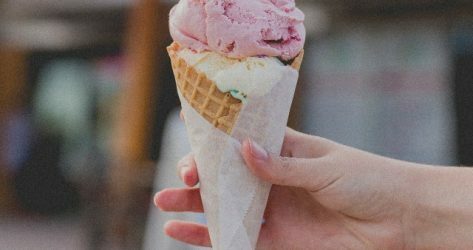 The Maine-based Mount Desert Island Ice Cream has opened a new location in the Mount Pleasant neighborhood of DC, about three miles from Monroe Street Market. The shop offers a rotating selection of ice cream flavors, both traditional and unconventional, as well as a handful of vegan options. The focus is on premium, small-batch ice cream using real ingredients – like actual vanilla beans, squeezed lemons, and the finest chocolate. 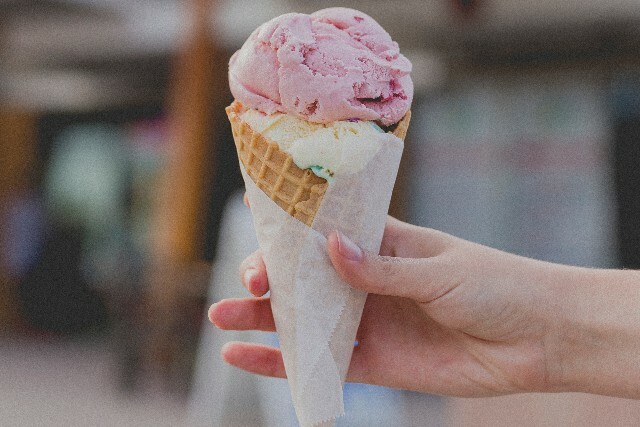 If you’re feeling adventurous, try one of their more unique flavors, such as Coriander Berry Streusel or Khulfi, a more savory ice cream made with pistachios, cardamom, saffron, almond, and sweetened condensed milk. Mount Desert Island has an old-school ice cream shop vibe with a blackboard listing the flavors, exposed white brick interior, and stool seating along the window. Enjoy your ice cream al fresco on their outdoor, dog-friendly patio. The shop also sells hand-packed pints of ice cream to-go, and will introduce drip coffee and espresso in the coming fall.